The Wilfrid Laurier University Students’ Union elections season came to an end on Thursday night as Zemar Hakim was announced the incoming president and CEO of the Students’ Union for 2019-2020. 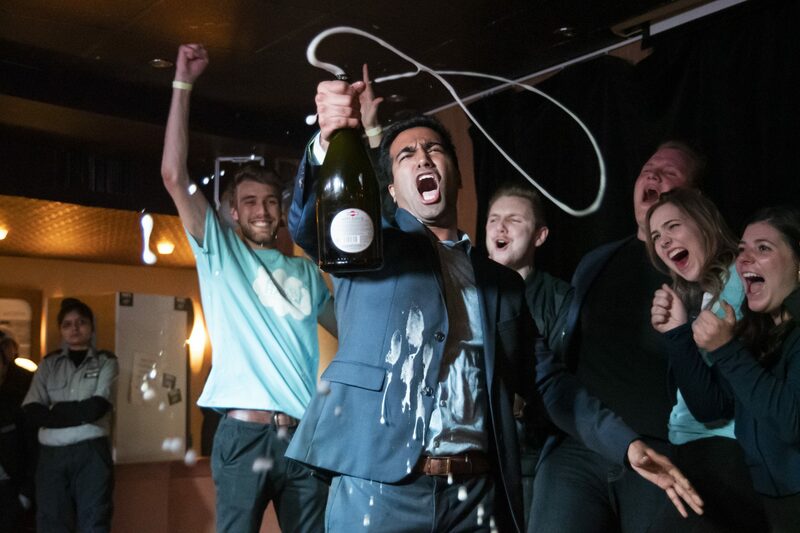 Receiving 54.29 per cent of the vote in the final round, with 2046 students voting for Hakim versus the other final candidate, Klaudia Wojtanowski, who received 45.72 per cent of the vote from 1723 students, Hakim was the frontrunner in all three rounds of voting. Voter turnout was also the highest it has been in the last couple of years, with 4330 out of a potential 18337 students voting — which is 23.61 per cent of the students. This is higher than last years, which was just over 22 per cent. “Voter turnout actually increased by approximately 354 students and I think that was because of a range of different activities we did, just the fact that students actually care about the elections,” said Adam Kovacs, current chair of the Students’ Union board of directors. The referendum question, positioned to students about hiring someone from KPMG to audit the Students’ Union’s finances, was also approved, with an 84.13 per cent “yes” vote. The HASSA presidential race was the only faculty to have two candidates run, where every oth-er faculty had their candidates run unopposed and students were given a “yes” or “no” vote. “With all the debates and open forums, we had max turnout, we had almost all of the seats filled at every given point and people were very engaged, absolutely the candidates are the reason we had it as well, but I would say mostly it was 70 per cent effort [and] 30 per cent the candidates,” Kovacs said. As for the board of directors, the only two candidates from Brantford were acclaimed before voting even started. The recipient of the most votes was current vice-chair Owen Bourrie, who received 625 votes, with the quota being 313 votes. Nine out of the twelve elected directors are new for the upcoming year. As for newly elected president, Zemar Hakim, the process of becoming president is already in full swing as the team for next year is slowly coming together. “On Friday it was just the director elects, so the chair and the vice chair have not been elected yet, however we plan on doing that very soon, so that the transition is done very smoothly and director elects are as prepared as possible for the next year,” Kovacs said. Despite the success of the 2019 elections season and the increase in voter turnout, there is always room for improvement for following years to increase the involvement of students in their governing body. “Something that we can improve on is getting more volunteers, more volunteers for the elections side not just for the candidates, candidates had a wide range of volunteers so that’s not the issue, but on the elections side having more volunteers and pushing that more would be significant,” Kovacs said. “I’m learning the roles, I’m currently actually hiring my vice presidents this week — and then talking briefly about how I plan on actualizing the initiatives that I proposed to students,” Hakim said.